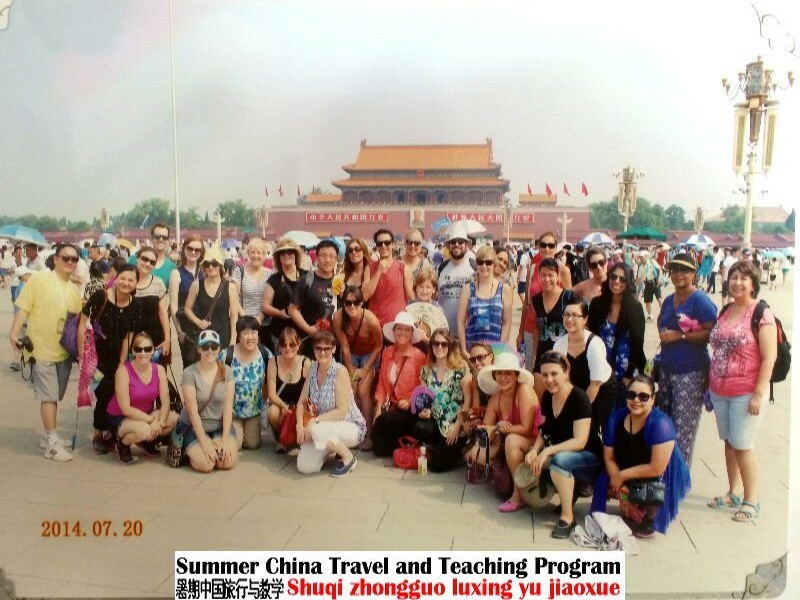 Participating teachers in the Summer China Travel and Teaching Program are expected to provide a total twelve days of English instruction for the Chinese students. They will teach six 45-minute sessions to two different groups of students per day – three sessions with one group of students in the morning and three sessions with another group in the afternoon. Most teachers will teach the same grade level and may repeat the AM instruction for their PM classes. A local classroom teacher will be assisting the US teachers in each classroom. A two-hour lunch break will be provided on each teaching day. Before the summer program starts, teachers will have 2 day of planning time to work with their grade-level teachers as well as local chinese teachers on lesson plans and curriculum. Teaching materials and resources are limited at the Chinese schools. Teachers will be provided with general guidelines to follow for their instruction. They have the freedom to choose and teach their own curriculum for the summer program. Classroom instruction is expected to be focused on listening and speaking skills as well as vocabulary building with some emphasis on reading and writing. It is highly recommended that teachers use effective ESL teaching strategies that actively engage students in acquiring the English language.